Latest Trend Around? Anchor Bracelets and We Love Them! Have you been seeing any cute trends in the jewelry world lately? 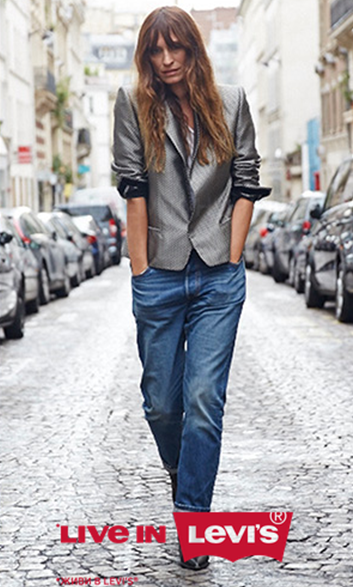 We love how the styles can change and things come in and out of style depending on the year, or even the season. We have definitely been seeing some really great trends pop up recently. Lately, the trend of anchor bracelets has been popular and we are loving them! We have found ten that we think you will want to get your hands on. 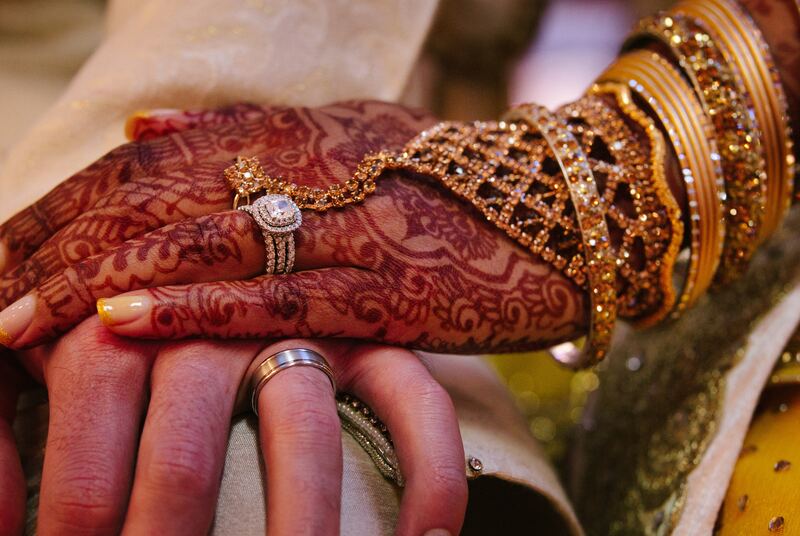 When we see symbols that regularly show up on jewelry pieces, we absolutely love it. Each symbol can be so personal for each person that wears it. 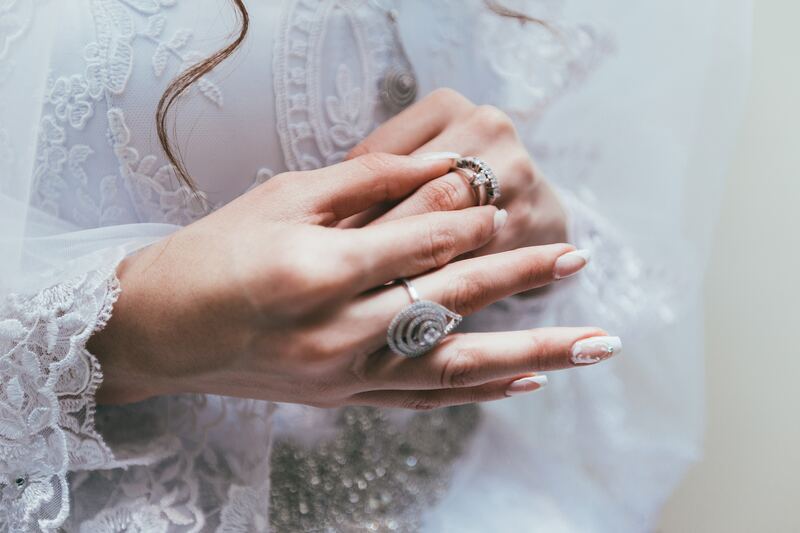 Whether it is a representation of something in your own life, a symbol to represent someone who is special to you or even to display your belonging to a group, there are so many jewelry options out there that feature a symbol that is significant to you. We love the anchor symbol and all that it can embody. An anchor is obviously used on a ship. The purpose of an anchor is to hold the boat in place so that it won’t float away. The idea of the anchor can easily be applied to relationships and everyday life as well. In a relationship, one of you may be the anchor, the person that keeps your both level headed and is committed to always stay. Maybe you are each an anchor in some way in your relationship. It can also represent someone in your life who is special to you and who has been there for you even when you started to float away. Furthermore, an anchor can represent stability in your own life. It symbolizes being able to depend on yourself and stand your ground. There are so many ways that the job of an anchor can be applied to the reality of life. Whether you just like the look of it or it has some deep meaning for you, this is a stylish and adorable trend! 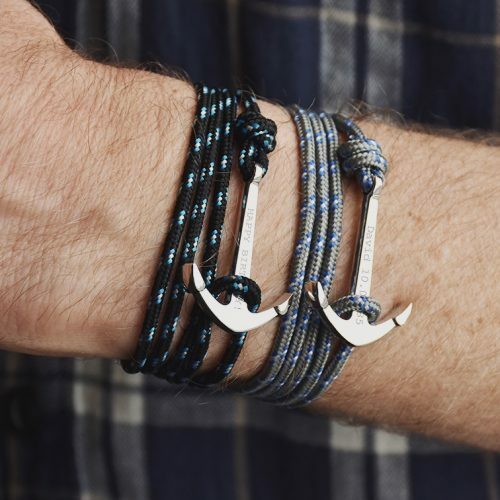 First, on the list, we have this handsome anchor bracelet for the special man in your life. Yes, you read that right. The man. These bracelets can be dainty and adorable, but you can also find anchor bracelets that are masculine and unique. This one is great for all of you men out there who love to wear simple jewelry that is full of character at the same time. This piece is made of genuine leather so it is sure to be comfortable on your wrist. The leather is thick and durable, so it takes a lot to scratch or damages it. Its a perfect choice for your busy life. The anchor and the clasp are both made of stainless steel which is a metal product that we always get excited about when it comes to durable jewelry. Stainless steel holds up against wear and tear. It won’t fade or tint your wrist gross colors. It is also non-allergenic, which is always a win when it comes to buying or gifting jewelry. We are drawn to the manly black leather on this bracelet because it is a classic look and it goes with almost any attire you may be wearing. Whether it is to a concert, for a casual day, or a night out on the town you can count on this black leather bracelet to flow perfectly with your look. As you will be able to see from the pictures on this product, the anchor and the stainless steel clasp come in the same color of stainless steel. There are a handful of color options for this metal feature on the black leather band. It comes in black, red, yellow, and white. The red is a very light red and the white looks to be more of a silver color. They are all great options and give you the flexibility to get the exact vibe you are going for. It measures 8.5 inches and should fit a wrist about 7.5 inches to 9 inches because of the clasp. This means that there is a wide range of wrists that it will fit and chances are it will be a great option for you. It comes in a black velvet bag which makes it a great piece to add safely to your collection or to gift to a friend for Christmas, a birthday, or even to your significant other on Valentine’s Day or your Anniversary. 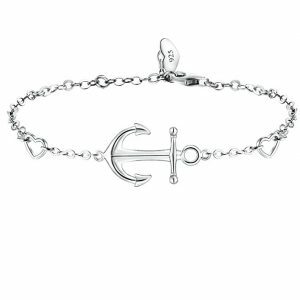 There are so many great qualities to this anchor bracelet and we think this trend is just as stunning on a man as it is on a woman. Guys, you are sure to be pleased with the price and quality of this piece. We are smitten with this dainty little anchor bracelet. It’s made of sterling silver. You may be concerned about a sterling silver product, but they are truly great pieces of jewelry. With proper care and simple washing and occasional shining, a sterling silver bracelet can last you years and look brand new anytime that you wear it. Itcomes on a strong cable chain that is adjustable to ensure that you can get the perfect fit for your wrist. The cable chain has two precious hearts featured in a couple of the loops, one on either side of the anchor. We love the way that the anchor is the largest piece on the bracelet and is also the very center point of the bracelet. This makes it so that the anchor will always be displayed how you like it on the wrist. We think this could be such a special gift for so many different occasions. We first thought of occasions like Mother’s Day, Valentine’s Day, or Christmas of course. But in the reviews, a couple of people stated that they gave this piece as a gift to someone special in their life. One of which was the Maid of Honor in the wedding party and the other was a female sailor. We thought this was so neat, as the anchor would be the perfect symbol for a sailor or for a best friend who is the Maid of Honor on your special day. No matter what storm hits in the water or in life, an anchor holds the boat down and safe. It is strong and dependable. When it comes to a best friend, aren’t we all looking for someone with those exact same qualities? We want a best friend who is connected to us and strengthens us. We want someone who can take on those big waves of life with us and still remain loyal in the friendship. 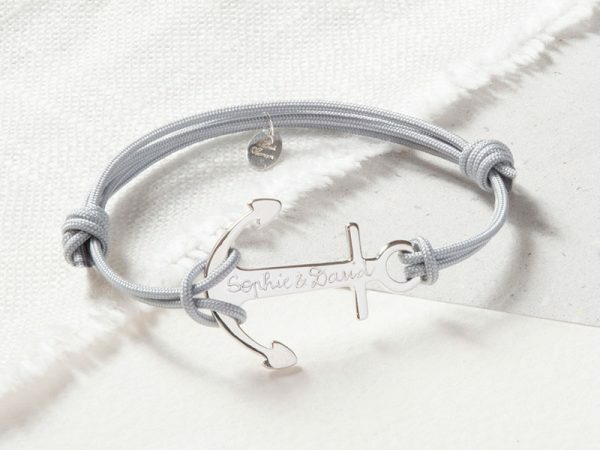 Because of this connection between the meaning of the anchor and the relationship of someone close to you, we think this would be a fantastic gift. It would also be such a cute piece to buy as best friend bracelets or something along those lines. This is such a darling piece and holds so much meaning within the details. We love this bracelet and so does everyone who purchases it! We know there is no shortage of bracelets out there, specifically bracelets with anchors on them. But this one is different from a lot of them that you will see. It is unique. This darling piece in inexpensive and charismatic. It is a layered bracelet with five different rows. Each row alternates in colors. The strands are white and navy blue. Three of the layers are navy blue and two are white. Each of the blue layers has a large, metal charm on it. The top has a ship steering wheel, the middle has an infinity sign, and the bottom has the anchor. We love the way each of these pendants stands out and can be special to the wearer, but the three of them come together in a very natural and flowy way. So what about the two white strands that are sandwiched between the blue layers? Don’t worry, they are super cute too, just more simple. One of which is a thicker braided strand and the other is a thin, single strand of material. All five layers flow together beautifully and make for such a darling piece. The adjustable link clasp makes it flexible to fit most wrists just how you want it to fit. This would make the perfect bracelet for younger girls or teenage girls. It would especially make for a fun and excited friendship bracelet to show their boundless unity and dependability on each other as they steer through their teenage years together! This piece is so trendy! We love how simple it is. It is stunning when worn on its own, but would look so good paired with a watch or with other bracelets. 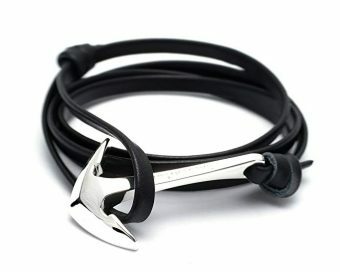 The band is made of genuine cowhide leather and the anchor is made of gold and silver plated metal. It is available in red and gold, navy blue and gold, brown and gold, or black and silver. So whether you want a bracelet that will blend in perfectly with anything in your wardrobe or you want one that will pop and make a statement to your outfit, there is a fantastic choice here for you! The leather band is adjustable, so this bracelet is a great fit for any size wrist. Aside from the great price and just how cute this piece is, we are also attracted to the satisfaction of other people who have bought this product. You will find time and time again that people praise the beauty of this piece and its durability. Also, many people recommend giving this bracelet as a gift because of its darling packaging on top of the cuteness of the item. The bracelet comes with a removable tag that says, “I am your anchor in deep waters”. That quote makes this bracelet even more special. If you have someone in your life who is struggling or seems to be fighting some big ‘waves’, this would be the perfect gift to them to show them that you love them and are there to support and strengthen them. How sweet is that little quote with this piece? Also, it comes in a jewelry pouch that is soft and attractive which makes gift giving even simpler! If you are looking for an option that is edgy and unique, look no further. 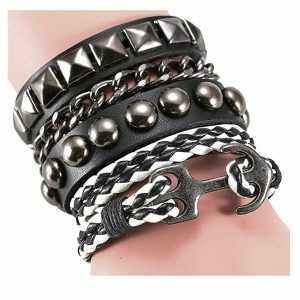 This bracelet gives the mysterious dark vibes while still holding up to the anchor trendy bracelet that you love. There are so many cutesy and dainty options out there, but that isn’t the only way to go. Do you want something that is bolder and maybe even on the punk style of the spectrum? If so, this is a great choice for you! It comes in two colors, all over black or a grey option. The grey choice is a mixture of different shades of grey as well as some white and black details. The bracelet is 9 inches long and 3.1 inches wide. It is made of a combination of genuine leather, rope, and alloy. 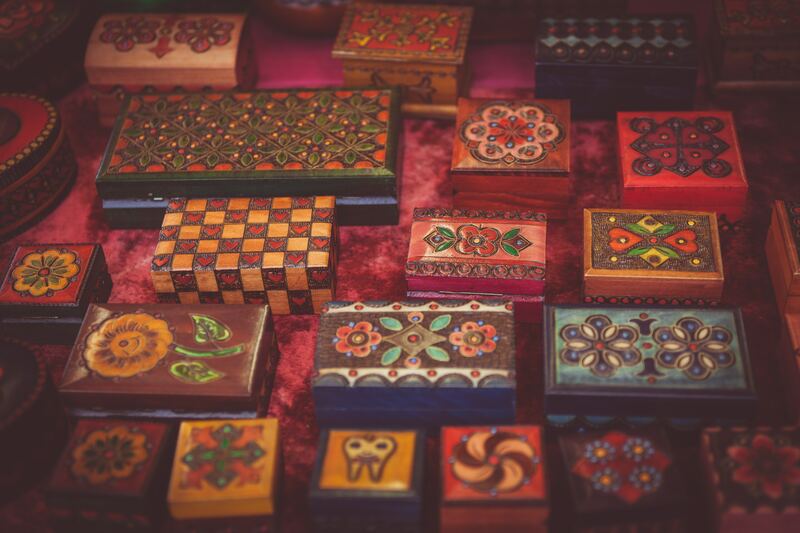 The blend of materials and colors makes it very intricate and interesting. One thing we are really into about it is that it is gender neutral. It will fit great on a man or woman and has just the right amount of boldness to flatter either gender. The quality is sure to please you, especially for the low price you pay, as it has exceeded many other’s expectations. It is a bold cuff style bracelet that features the trendy anchor and makes for an exquisite piece of jewelry. This one is a classic Alex and Ani piece. Alex and Ani jewelry are well known for its high quality and for collectible pieces that you will never be disappointed in. Their bracelets are simple and beautiful. We love this one that features the trendy anchor in a different way. Are you familiar with this brand? They have a beautiful collection of jewelry, all pretty pieces that have some things that stay consistent through each piece. 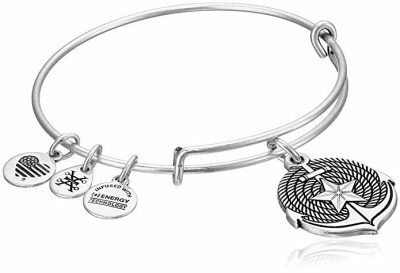 For example, all Alex and Ani bangle bracelets have the 3 signature small charms. This symbolizes their brand. Then the large circle charm is unique to this specific bracelet. It is crafted with a rope type background, an anchor that takes up the entirety of the pendant, and star in the center. It is the perfect display of the anchor and is very classy and charming. The charm is 1.2” long and 0.86 inches wide. The bangle is flattering on every wrist as it is expandable and should fit any size. 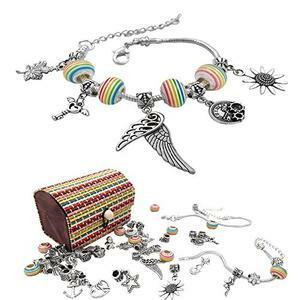 This charm bracelet has a fabulous Rafaelian Silver finish. There is also an option for a Rafaelian Gold finish in case you are more of a gold type of person, or maybe just currently in the market for that. It is made in the USA. And we aren’t the only ones to recognize and praise the quality of these products. They are spectacular and this anchor one is absolutely one that you will want to add to your collection. This would also be a great gift for someone loves boating, embraces summer, is special to you because of the symbolism of the anchor, or anything in between. This bracelet is so cute, right? It’s not just one, but a set a five. Each one is darling on its own, but the collection of the five-layered together is absolutely adorable! 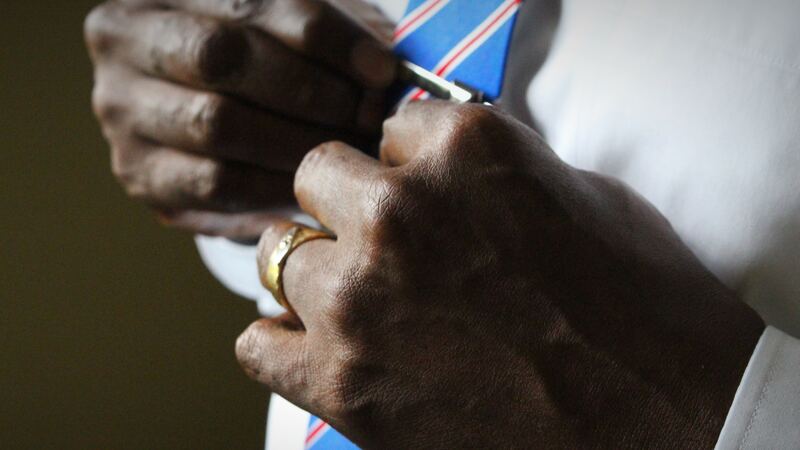 First and foremost, we want to let you know that it is said to fit a smaller wrist better. So that may be a setback, but other than that, we love this bracelet and so do those wearing it! This set is inexpensive, especially considering you are ultimately getting five bracelets. They are each made of an elastic stretchy material and decorated with beads and other charms. In this set, you can expect to see a white and gold piece that alternates round beads and one gold colored bar. 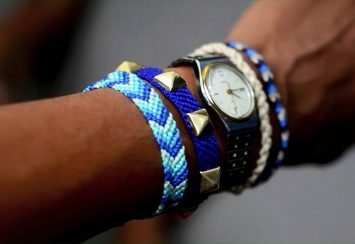 Next, there is a blue beaded bracelet that is accented with a gold starfish. You will also see two simple bracelets, one lined with white gems and the other with blue beads. Lastly, there is a gold ball beaded one that displays a dainty gold anchor pendant. The colors appear a bit of a navy blue, but in person, you will see more of royal blue. We love the way that the white, gold, and blue all flow together and give that true sailor vibe. This is such a darling piece that is good quality and is sure to please. One thing that we love about the anchor is how gender neutral it is. A lot of these pieces are totally unisex. This is no exception to that. It would look great on a boy or a girl. 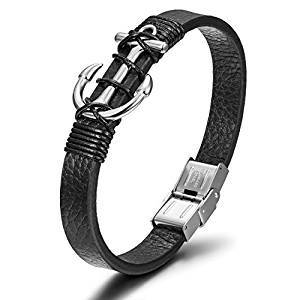 If you are looking to get this for an adult or as an adult, it is typically a better fit for a woman because there is a chance it is too small for a man’s wrist. With that being said, it’s a great idea to measure your wrist before buying a bracelet, especially online. This bracelet measures 0.87 inches in width and about 6.9 inches in length. That will give you a good idea if this would make a good fit for you. For your sake, we sure hope so! Because this is a good lucking, budget-friendly, comfortable bracelet that you won’t want to pass up. The piece is made of leather and includes a silver stainless steel clast. Has a triple layer look, including the top and bottom layers that are a black braided leather. The middle band is smooth and thicker than the other two. It is lined with a design that is so unique and full of character. The design includes silver and black beads that lead to an anchor in the center. The anchor has a roped wrapped through it. We love the way that that flows so well with the braided leather straps on either side of it. The bracelet made of durable and long lasting materials. It is low maintenance and will hold its beautiful color over time. We love this anchor cuff! This bracelet is just too much fun not to share! It is the perfect piece for anyone who loves to customize their jewelry and add their own personality to their wardrobe. It would be especially fun for a young girl or teenager, but it is certainly not limited to that age group with all of the different ways you can customize this! The jewels are all fairytale themed. The kit comes with 20 metal beads, 15 dangling beads, and 10 rainbow beads that are made of glass. Some of our favorites of the beads include the clock and rabbit from Alice in Wonderland, the castle and glass slippers from Cinderella, and of course the anchor and starfish from The Little Mermaid! You can embrace the stories and customize your bracelet to your favorite story, you can add in a little bit from each of your favorites, or you can use the pieces of the themes that are special to you. So whether you want to capture the whole story of The Little Mermaid, or you want a simple anchor bracelet, this is a fun option for you! Did you find yourself thinking you’d like to make a few different versions of this darling bracelet? If so, you are in luck. This kit has enough of the silver plated snake chains to make 3 different bracelets. For that price, it is a steal of a deal. There are no tools, glue, or messes involved when making these bracelets and they are even interchangeable, so once you make it you still have the flexibility to wear it differently another time. This makes for such a fun and stress-free project with your friends or your kids. 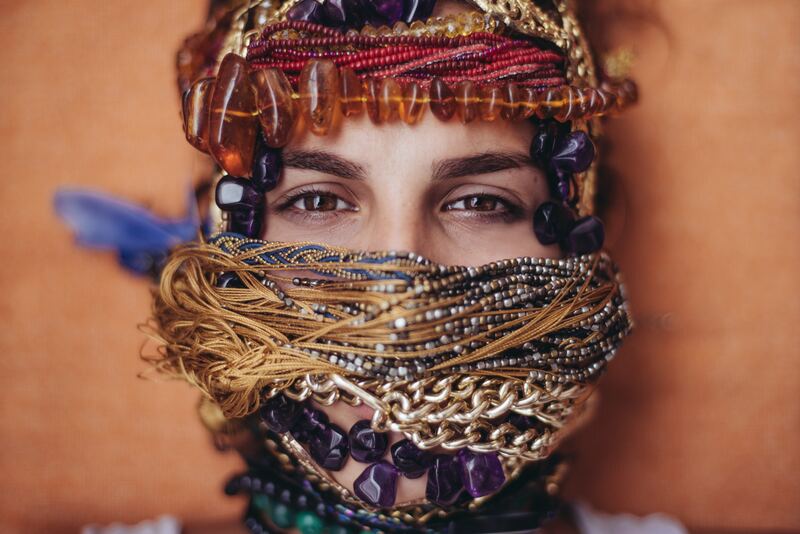 We love the creativity in your jewelry collection that this kit presents. You could make an adorable bracelet with a literal anchor in mind, soaking up the under the sea theme, with the anchor and a dolphin, shell, fish, and starfish. Or you could take on the symbolism and depth of the anchor and pair it with the love and heart charms. Whether you like a simple look with a couple charms, or a bracelet full of them, you can have it your way. It is also exciting that you can add color if you want. We love that the bracelet is silver and has silver charms, so it truly can be a mature and classy pick, or you can add in some youth and flare by mixing in the colorful rainbow beads. 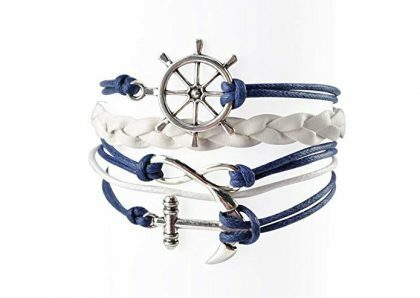 This is such a fun option for so many reasons and we think you will be thrilled with this steal of a deal customized anchor bracelet. 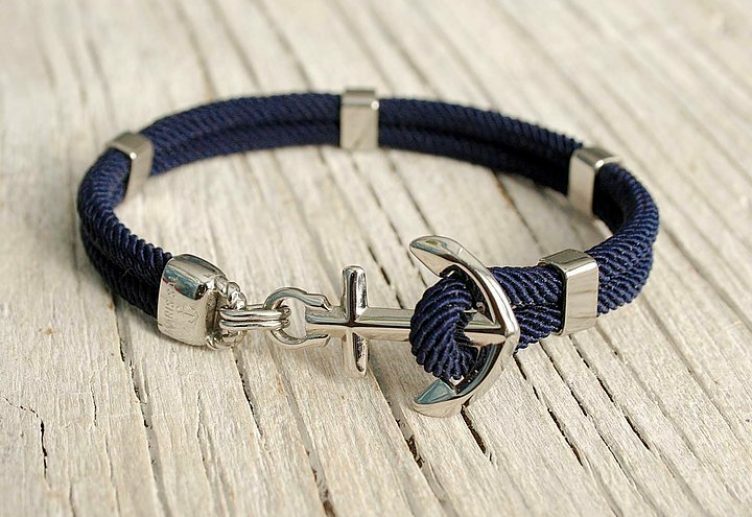 To finish up our list of trendy anchor bracelets that we love, we have this adorable, casual piece. This bracelet is made by Pura Vida which means Pure Life in Spanish. Their message is all about encouraging and living a pure life by appreciating and seeking the simple things in life. This bracelet represents that perfectly. It is such a cute piece to pair with any outfit and is a great reminder to slow down and enjoy the little things in your life. It is beautifully braided and has to dainty charms hanging from it. The larger of the two dainty charms is a silver-plated anchor and the other one is a circle charm that has a P on it. The P represents the Pura Vida brand and serves as a constant reminder of that pure life message. The bracelet is available in two colors, silver-plated salmon and silver-plated cream. It will be hard to choose between the two of them as the salmon is the perfect pop of color, but the cream is one that you could leave all day every day because it goes with everything. The good news is, it is very fairly priced for its quality and you may just be able to grab them both. This is the type of bracelet that is so lightweight that you will want to wear it all of the time. It is a great bracelet, very durable, and absolutely adorable. We love this anchor bracelet trend and just can’t get enough of it! 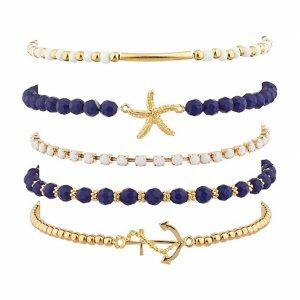 We hope you were able to find the anchor bracelet that is perfect for you with all this variety in options. Are you looking for an anchor to remind you of someone in the Navy that is special to you? Do you love boating and spending your days at the beach? Are you the sentimental type who seeks to find meaning and symbolism in things? Whatever your reasoning behind wanting an anchor, even if that means its because you love to follow current trends in jewelry, we hope you found one that matches your style and personality. Enjoy! This is such a fun trend!